Plant-based meat alternatives are no passing fad. They’re mainstream enough to fill White Castle sliders and strike fear in the hearts of ranchers. So why hadn’t I considered plant-based seafood until today? 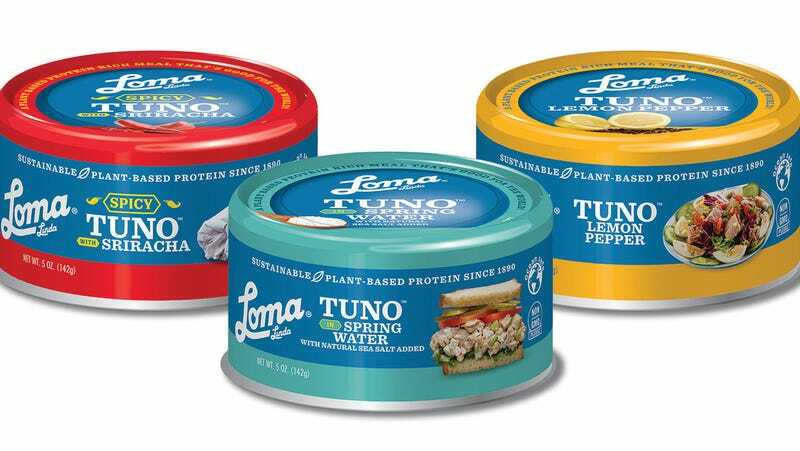 Friends, I am thrilled to announce that it is exists, if only because its brand name—TUNO—is so punny and wonderful. I can’t say whether TUNO tastes good. I can’t say whether there’s a market for it. I can’t say whether it will be the magic bullet that saves global overfishing. But I can say that I am just tickled that its straightforward, wonderfully dorky wordplay exists. Anyway, I can really say nothing for TUNO other than I applaud both its sriracha flavor and its punny name. Whether it actually tastes like fish is of secondary concern.